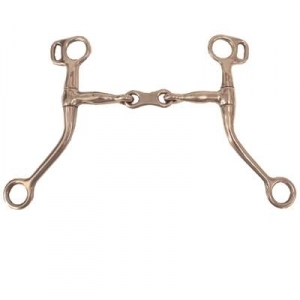 Get your horse only the best Dr Bristol Western Training Bit on the market. We know how difficult it can be to find a good deal on Western Training Bits made of unsurpassable craftsmanship. This particular Dr Bristol Bit measures 5" in size and is made of top grade stainless steel which is very durable. So get yourself a nice set of training bits today. When buying from us you can rest assured you will be purchasing a great product.